Dryers are a staple of most households today, and due to their size and bulkiness, they can be difficult to move, even if it is just to another room. Dryers can be awkward to handle and it generally takes two people. Disconnecting a dryer is the first step in moving it. This can be done by one person and must be completed before the dryer can be moved at all. Dryers can be easily disconnected. Make sure the dryer is not running. Open the dryer and check to make sure there are no clothes left in it. If there are clothes, remove them immediately. Remove any lint from the lint screen. Shut the dryer and make sure the knob is turned to "off." Unplug the dryer cord that is plugged into the electrical outlet on the wall. Roll up the cord and set it on top of the dryer so it does not get damaged. 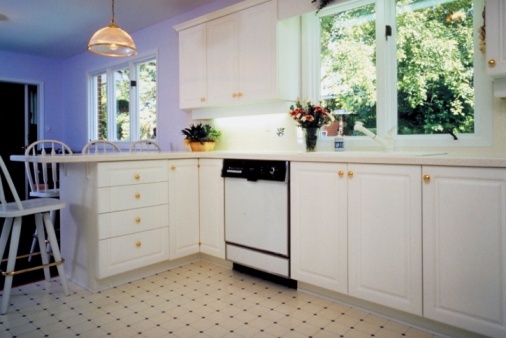 Carefully slide the dryer away from the wall, being careful not to damage the floor. For an electric dryer, turn off the electrical power to the appliance. 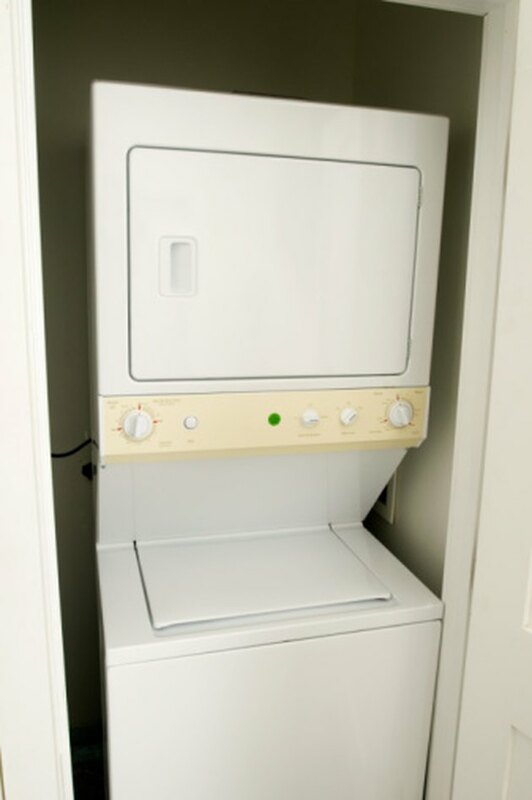 For a gas dryer, shut off the natural gas supply line attached to the dryer. Remove the gas line attached to the dryer with an adjustable wrench. Turn the wrench counterclockwise to loosen the line before removing it. For a gas dryer, cover the end of the the gas line with Teflon tape. This will help prevent leakage. Unhook the line from the dryer and remove the vent duct that is attached to the wall. Remove the vent duct from the dryer and be careful not to damage it as it will need to be reused in its new location.